David De Gea was the man who made all the difference in Manchester United beating Tottenham 1-0 at Wembley, their first victory against a top-six side this season. Even though it was Marcus Rashford who scored the night’s sole goal, finishing off a well-thought-out Paul Pogba pass, the game was truly cemented by the antics of the Spanish goalkeeper. He denied Tottenham 11 times, making even the brilliant finishes of Dele Alli and Harry Kane appear like nothing as he notched save after save. 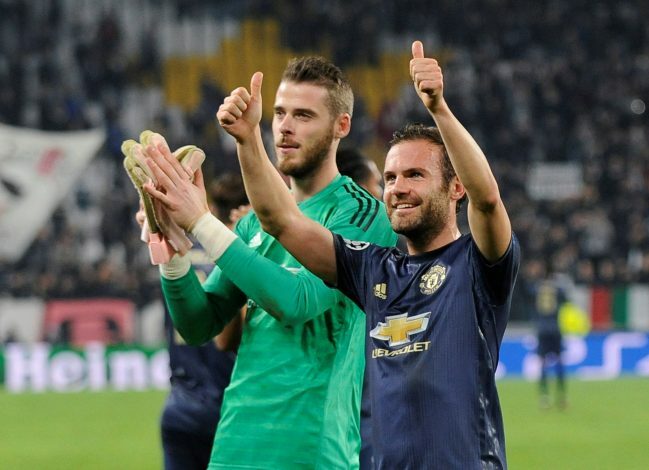 De Gea hasn’t been in peak form as of recent, but the display he put up on Sunday was undeniably one that aggregated all of the games where he was sub-par, and ensured in a thunderous three points for the Red Devils. After the full-time whistle, cameras caught Juan Mata heading towards his compatriot and beaming at him in disbelief. The reaction of Mata certainly encompasses what much of the world would have been thinking about the shots-topper. Twitter was rampant with reactions on his man-of-the-match performance, and the Mata reaction didn’t skip past supporters either. United haven’t needed to rely on their trusty savior for quite a while now, with Ole Gunnar Solskjaer’s attacking ethos powering through his first five wins. However, against Spurs, De Gea had to frustrate the opposition repeatedly to secure the game. This goes on to show just how poorly United were functioning under Jose Mourinho, whose erstwhile defensive tactics were in shambles, with even De Gea being toothless in the face of an inadequate backline and lack of discipline across the team. However, this display shouldn’t be mistaken as United’s defense being secured. If anything, a look at the sheer gaps that the Spurs forward line was able to capitalize on and attempt the shots that De Gea saved, goes on to highlight that their defensive problem is still at large. Reinforcements to arrive in the weeks that remain?